With the political narrative changing almost hourly—and a big list of Trump-themed books hitting the market—publishers’ release dates are a minefield. 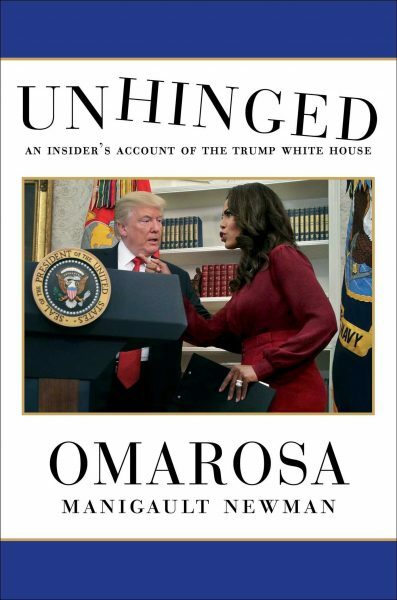 Omarosa Manigault Newman’s Unhinged: An Insider’s Look at the Trump White House from Simon & Schuster’s Gallery Books sold more than 33,000 hardcover copies in its first week. A part of the answer may be keeping some publishers up at night, as they watch their own political publishing dates approach amid an avalanche of political books scheduled for this autumn. Rarely has speed-to-market seemed so pertinent. How do you plot out the right book release dates when the erratic rhythms of the news cycle are driving manic shifts in the political landscape? For example, by Wednesday (August 22), when Charles ran his article, the US readership had largely forgotten Manigault Newman’s book. The nation was reeling from Tuesday’s (August 21) revelations of Paul Manafort’s convictions and Michael Cohen’s guilty plea. As Emily Cochrane at The New York Times would write, Cohen “admitted that [Donald] Trump had directed him to arrange payments to two women during the 2016 presidential campaign”—Trump had been alleged to be an unindicted co-conspirator. It would follow that Trump associates David Pecker of The National Enquirer and Allen Weisselberg, CFO of the Trump Organization, were receiving immunity from federal prosecutors. By the weekend, a former doorman at Trump Tower, it was reported, had been released from a gag agreement to talk about another alleged Trump extramarital affair alleged to have produced a child. 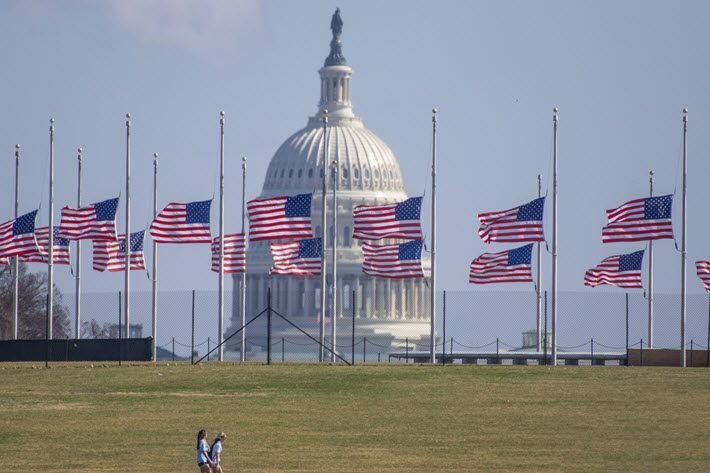 By Sunday (August 26), the news media were focusing on the death of Senator John McCain, Republican of Arizona—who has requested that Trump not attend his funeral. 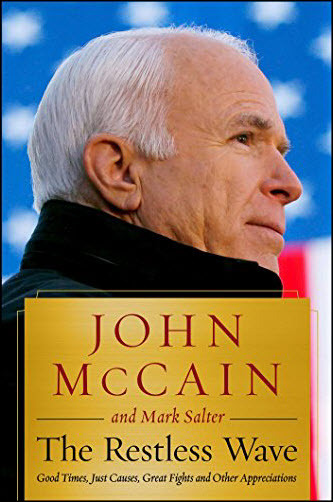 Not surprisingly, McCain’s last book with his co-author Mark Salter, The Restless Wave: Good Times, Just Causes, Great Fights, and Other Appreciations (Simon & Schuster, May 22) has jumped to No. 2 in Amazon’s Top 100 at this writing. A voracious reader, himself, McCain talked of Hemingway as his favorite author and quoted the protagonist of For Whom the Bell Tolls, as Robert Jordan wrote in an op-ed at The New York Times in March 2016, and on other occasions. But even the rapidity of the McCain book’s rise in sales underlines the volatility of the marketplace. All this outlines the challenge. By the time the critical US midterm elections arrive on November 6, some publishers may have reassessed where things appear to be headed, either rushing up or delaying a given release. 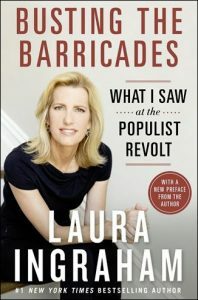 For example, if Fox News personality Laura Ingraham’s Busting the Barricades: What I Saw at the Populist Revolt releases from Macmillan’s All Points imprint on October 9 in paperback, as scheduled, what effects might the state of the news cycle have on it, just a month ahead of the midterms? 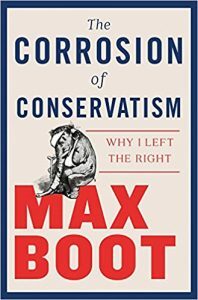 From the other side of the spectrum, October 9 is also the date on which one of the season’s most anticipated titles is to be released, Max Boot’s The Corrosion of Conservatism: Why I Left the Right from W.W. Norton, the Liveright imprint. Boot is a senior fellow with the Council on Foreign Relations, a columnist for The Washington Post, and global affairs analyst for CNN. And after producing four books prior to Corrosion, he finds himself now a newly articulate voice for the perceptions of the left. 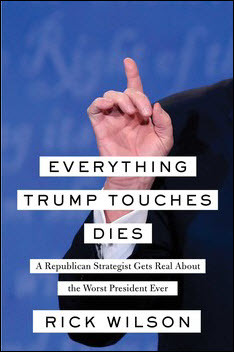 Boot is a member of a small but influential class of high-visibility Republican refuseniks, a group of writerly defectors from the GOP that includes The Daily Beast’s Rick Wilson, whose Everything Trump Touches Dies: A Republican Strategist Gets Real About the Worst President Ever (Simon & Schuster/Free Press) remains at No. 1 at Amazon in hardcover rankings in Political Parties almost three weeks after its August 7 release. 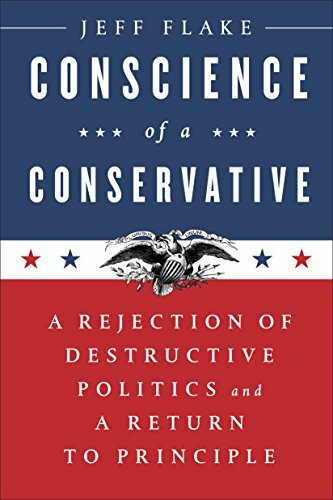 For that matter, it’s been a bit over a year now since the first of these major controversial conservative self-critical titles appeared on August 1, 2017. Another group of political authors in play this autumn is reporters—many of them energized, of course, by the Trumpian “enemies of the people” drone—and they seem to have release dates set sooner than later, avoiding the deeper end of the midterms pool to come. 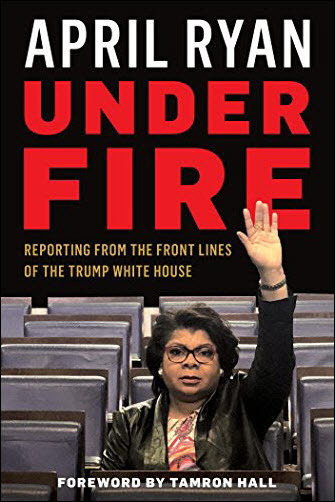 Coming at the end of this week in an unusual Saturday release (September 1) is April Ryan’s Under Fire: Reporting From the Front Lines of the Trump White House (Rowman & Littlefield). The Baltimore-based Ryan has been since 1997 the White House correspondent and Washington bureau chief for American Urban Radio Networks. In addition, she’s been a political analyst for CNN since Trump’s first year in office, and is a mainstay of the network’s daily coverage of an administration that’s infamously thin on people of color in its ranks. Ryan has reported receiving so many threats that she recently hired protection, telling the Hollywood Reporter’s Jeremy Barr on August 21, “All I’m going to say for my safety is [that] I have a team”—and suggesting that the White House should pay the bill. And for sheer heavyweight journalistic credentials, no one can be expected to outclass Bob Woodward of All the President’s Men fame with Carl Bernstein. 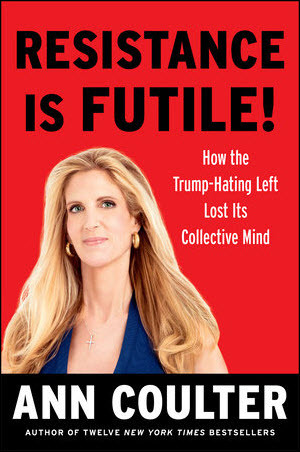 Commentator on the right Ann Coulter’s Resistance is Futile! How the Trump-Hating Left Lost Its Collective Mind got ahead of those books. It was released a week ago, on August 21, by Penguin’s Sentinel imprint. At this writing, the book stands at No. 1 among Amazon hardcovers in the sub-classification of Nationalism. And Fox News legal analyst Gregg Jarrett’s publisher, HarperCollins’ Broadside, moved even earlier. 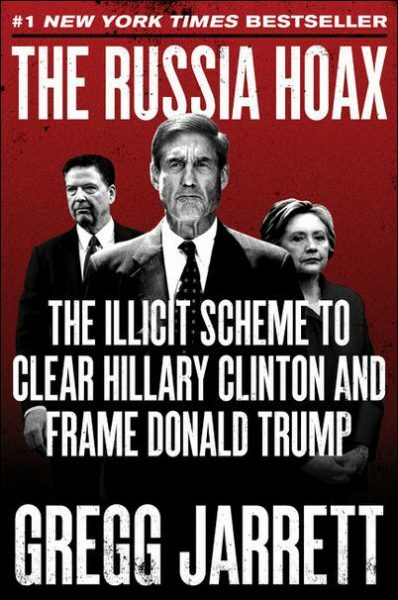 The imprint released The Russia Hoax: The Illicit Scheme to Clear Hillary Clinton and Frame Donald Trump on July 24. That one has had an especially robust reception, standing at No. 7 in most-sold nonfiction in the Amazon Charts listings and holding an impressive No. 16 spot in Amazon’s Top 100 a month after its release. Another member of the Fourth Estate, Amanda Carpenter, the former Ted Cruz staffer who now is a regular television news commentator, got her Gaslighting America: Why We Love It When Trump Lies to Us (HarperCollins/Broadside) out in early May. At this writing, the hardcover still stands at No. 16 in the Propaganda and Political Psychology subcategory of Amazon’s political listings. As the news cycle clears the midterms, books by political players who may be considering exploring runs for the White House in 2020, of course, will begin to appear. 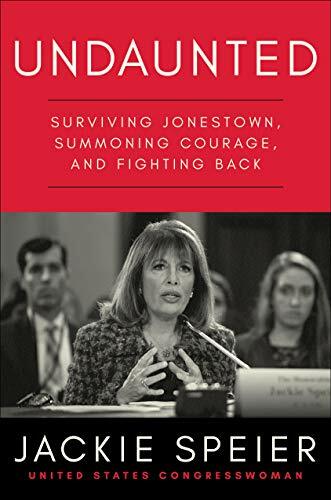 Just Friday (August 24), it was announced that Rep. Jackie Speier (D-CA) has a book coming, Undaunted: Surviving Jonestown, Summoning Courage, and Fighting Back, to be published by Amazon Publishing’s (the trade house) Little A imprint. An outspoken proponent for women’s rights on Capitol Hill, Speier was shot five times at close range during the effort to leave Jonestown in 1978 when she joined the delegation led by Rep. Leo Ryan (who was killed). Her memoir appears 40 years after the events at Jonestown and is timed to be released on the date, itself, of the midterms, November 6. While Publishing Perspectives’ question to the congresswoman’s public relations contact about 2020 has gone predictably unanswered, the timing of the release sets the book free of the midterms narrative, although a strong showing from the Democratic party at the ballot box can be expected to buoy the book, of course. The book’s release in November is to be followed by a Sundance TV airing of a new documentary Jonestown: Terror in the Jungle, in which Speier is to be featured. 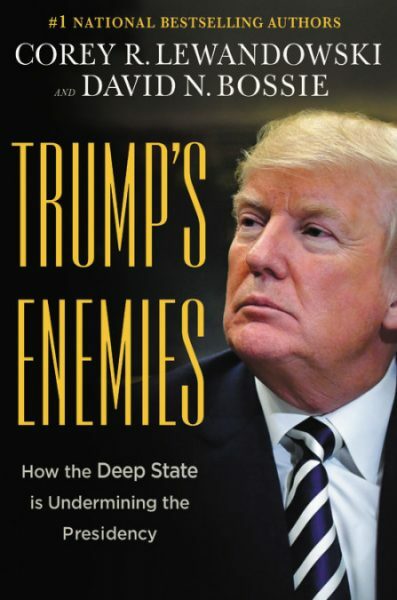 A book placed at an even safer remove from the uncertainties of the next two months is Trump’s Enemies: How the Deep State Is Undermining the Presidency by former Trump aide Corey Lewandowski and David Bossie. It’s to be released November 27 by Hachette’s Center Street–well past the midterms and even clearing the US Thanksgiving holiday. Meanwhile, the road to those midterms is all but paved with competing releases, from Fox News contributor Jason Chaffetz’s The Deep State: How an Army of Bureaucrats Protected Barack Obama and Is Working to Destroy the Trump Agenda (HarperCollins/Broadside, September 18) to The Apprentice: Trump, Russia and the Subversion of American Democracy (HarperCollins/Custom House) by The Washington Post national security reporter Greg Miller, set to release on October 2. How much will timing during this most precarious political season affect a book’s fortunes on the market? Is it possible that already, as Ron Charles hints in his article, “the nation may be exhausted by these polemical testimonies,” at least the ones coming from “insiders” like Manigault Newman? He mentions another such entry. 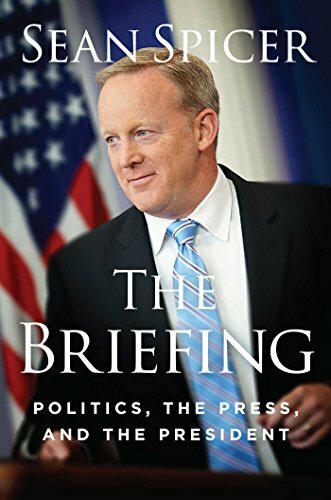 Sean Spicer, the former White House press secretary, released his The Briefing: Politics, The Press, and The President on July 24. Despite a tweeted endorsement from the big guy, the book sank almost without a trace. So all that Twitters isn’t sold. 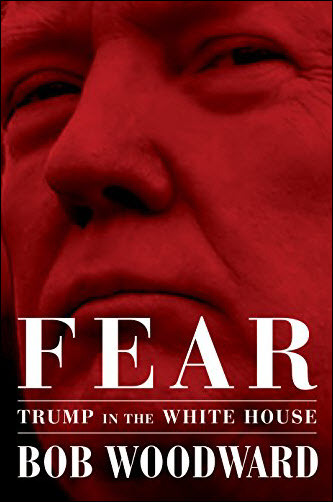 And this season of Trumpian titles in a time of political whiplash is one dicey spot on the calendar from which to launch a book about the topic-in-chief. After Labor Day (September 3), le deluge. More from Publishing Perspectives on publishing and books related to Donald Trump is here.